Out Of Favor Base Metals Sector Delivers Buying Opportunity In This High-Grade Copper Developer | Energy and Gold Ltd. 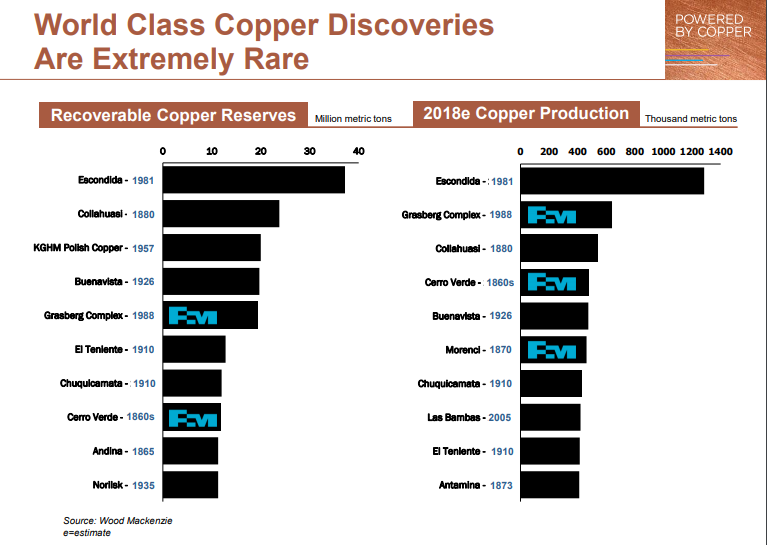 The last major copper discovery was Grasberg in 1988 with most of the undeveloped copper projects globally being of the low grade, high capex variety. While the world is facing its thinnest pipeline of copper projects in a century the demand for copper is set to explode. The stage is set for an upward revaluation of copper based upon compelling supply/demand fundamentals (the incentive price for new copper production to turn is above US$3.50/lb). However, from an investor vantage point how should one play it? There are many possible answers to that question but from my vantage point the biggest potential rewards will come from buying beaten down copper developers that are on the brink of moving into production during the next few years. If these copper developers also have high-grade projects in safe jurisdictions then the value proposition is even more compelling. A TSX-Venture traded copper explorer/developer named Kutcho Copper (TSX-V:KC) meets all of the criteria that I want to see in a copper play right now. 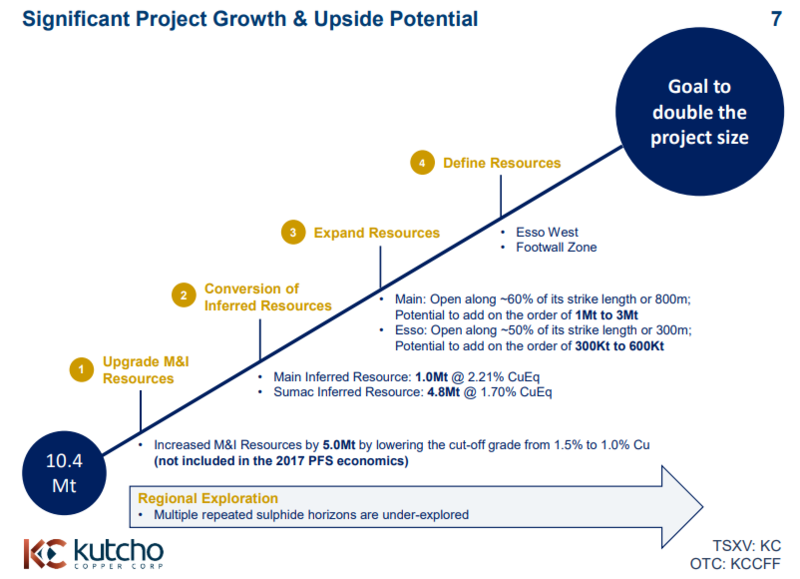 Kutcho is on track to publish a feasibility study for its 100% owned high-grade Kutcho Project in the 2nd quarter of 2019 with the company targeting initial production in 2022. The Kutcho Project boasts probable reserves of 10.4 million tonnes grading 2.01% copper, 3.19% zinc, 34.61 grams silver per tonne and 0.37 gram gold for a copper-equivalent grade of 2.92%. Measured and indicated resources stand at 16.85 million tonnes grading 1.89% copper, 2.87% zinc, 32.8 grams silver and 0.36 gram gold for a copper-equivalent grade of 2.71%. Inferred resources add 5.79 million tonnes grading 1.33% copper, 1.64% zinc, 23.2 grams silver and 0.24 gram gold for a 1.79% copper-equivalent. Add it all up and Kutcho is forecast to produce total life-of-mine payable production of 378 million pounds of copper and 473 million pounds of zinc over a 12 year mine life. According to Kutcho Copper’s 2017 pre-feasibility study (PFS) the Kutcho Project has a C$265 million after-tax NPV(8) using a US$2.75/lb copper price. A higher copper price throughout the project’s life (2022 and beyond) would serve to significantly enhance the attractiveness of the economics; using a US$3.05/lb copper price (roughly 10% above current levels) and a US$1.35/lb zinc price the after-tax NPV(8) increases 42.3% to C$377 million. While Kutcho’s project economics based upon its current outlined resource are strong there is significant potential for expansion. Recent drilling has extended mineralization down-dip of its Main Deposit. Drill hole KC18-280 extended mineralization 50 meters down dip from previous drilling and beyond the project’s existing resource model – KC18-280 returned a 5.4 meter intercept from 193 meters down hole grading 2.48% copper, 1.0% zinc, 114 grams silver per tonne, and 0.24 gram gold, or 4.0% copper-equivalent. The Main Deposit remains open down-dip in this area and along strike over a distance of 250 meters. Through the Main Zone alone Kutcho has the potential to add up to 3 million tonnes (at a 2% Cu-Eq grade this would result in an additional 132 million pounds Cu-Eq). Kutcho’s advantage is that it is a relatively high-grade copper-zinc deposit that doesn’t require an immense amount of capex in order to get built and move into production. 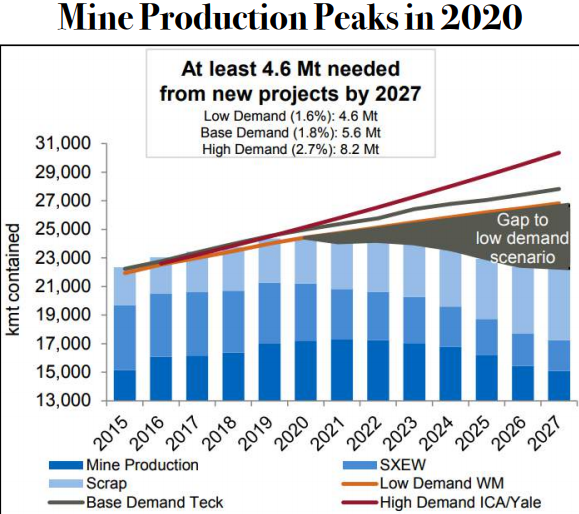 Initial capex is forecast to be C$220 million (~US$170 million) which is a very manageable sum in order to get a high-grade copper project with a 12+ year mine life into production. Moreover, Kutcho’s existing streaming agreement with Wheaton Precious Metals includes US$58 million from Wheaton to fund mine development costs. This agreement with Wheaton helps to significantly de-risk the Kutcho Project and makes it much easier for the company to put together the rest of the financing required to put the project into production. 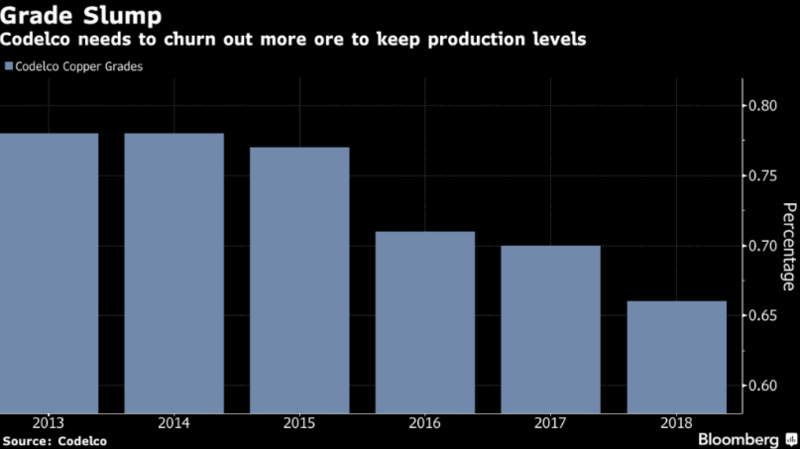 KC has been a victim of an extremely out-of-favor base metals sector in 2018. However, the sector headwinds have left investors with an extremely attractive opportunity to pick up shares of a high-grade Canadian copper developer that could be in production within four years. 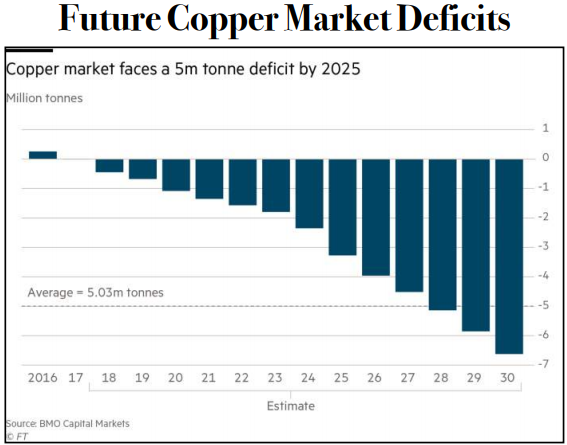 Based upon my personal model and base metal price forecasts I believe that Kutcho Copper’s after-tax NPV(8) is more than C$400 million, which means that at the company’s current market cap the stock is being valued at less than 5% of the project’s value. For purposes of full disclosure I am biased as I am long Kutcho shares and Kutcho Copper is a sponsor of Energy & Gold. With that being said this stock is flat out cheap and i’m not afraid to emphatically state that. The article is for informational purposes only and is neither a solicitation for the purchase of securities nor an offer of securities. Readers of the article are expressly cautioned to seek the advice of a registered investment advisor and other professional advisors, as applicable, regarding the appropriateness of investing in any securities or any investment strategies, including those discussed above. Kutcho Copper Corp. is a high-risk venture stock and not suitable for most investors. Consult Kutcho Copper Corp’s SEDAR profile for important risk disclosures. EnergyandGold has been compensated for marketing & promotional services by Kutcho Copper Corp. so some of EnergyandGold.com’s coverage could be biased. EnergyandGold.com, EnergyandGold Publishing LTD, its writers and principals are not registered investment advisors and advice you to do your own due diligence with a licensed investment advisor prior to making any investment decisions.